When did Old Navy get so expensive? I always thought of it as a place to get super cheap items that would fall apart after a season or two. I find it crazy that I could get two really decent dresses from Target for $20 each, but this skirt cost about $30 at Old Navy yesterday. I was there thanks to GroupOn’s $20 (for $10) certificate. 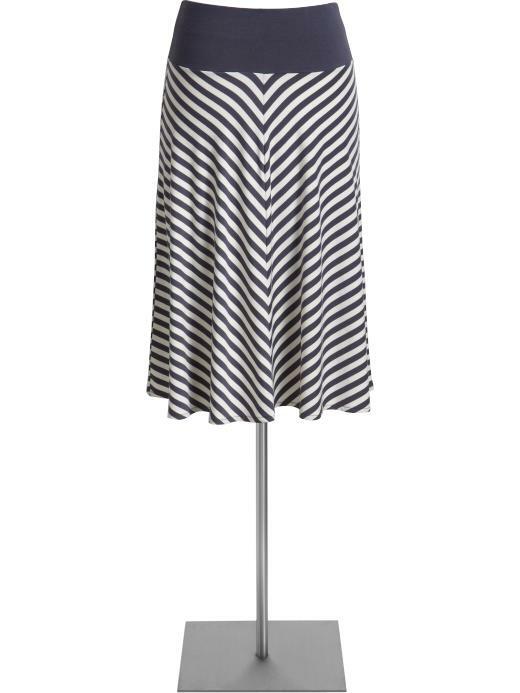 I’ve been wanting a long striped skirt, but I’m super petite, so I thought this would be a good compromise. But I can’t really figure out what to pair it with. The striped appear cream and grey, but the website says the color is blue. So I can’t wear it with a white shirt. I’d also like to wear it to work (pretty casual workplace, but I don’t like to look sloppy or slutty).